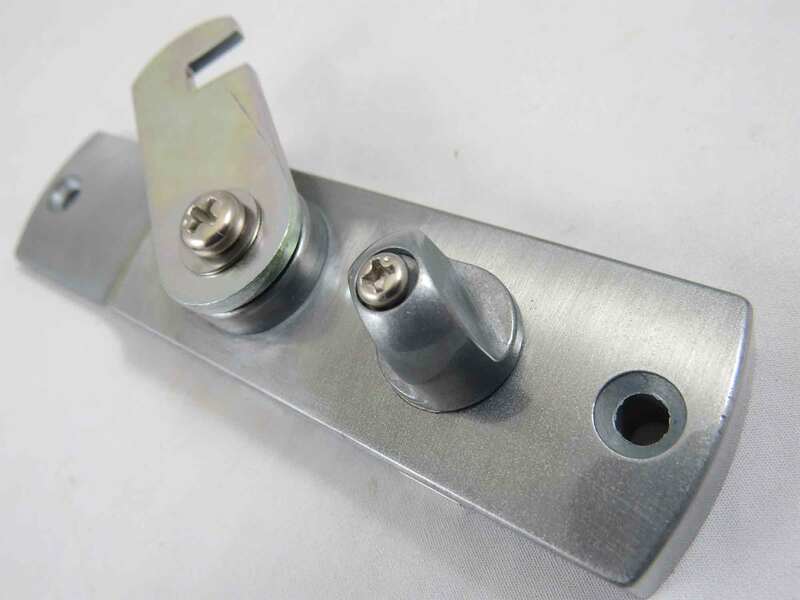 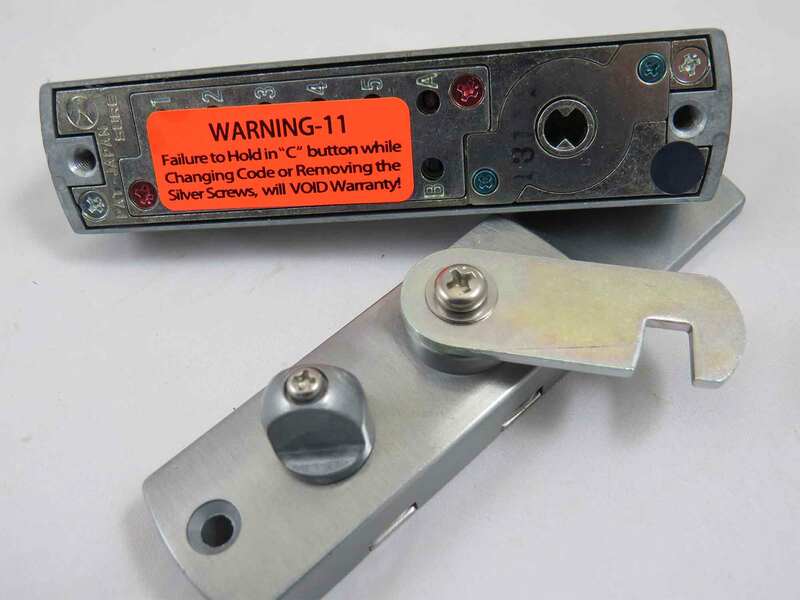 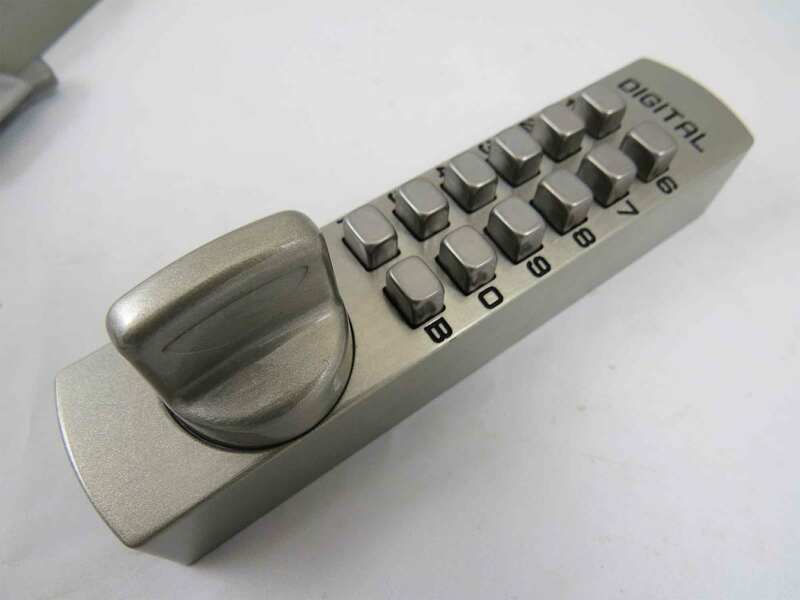 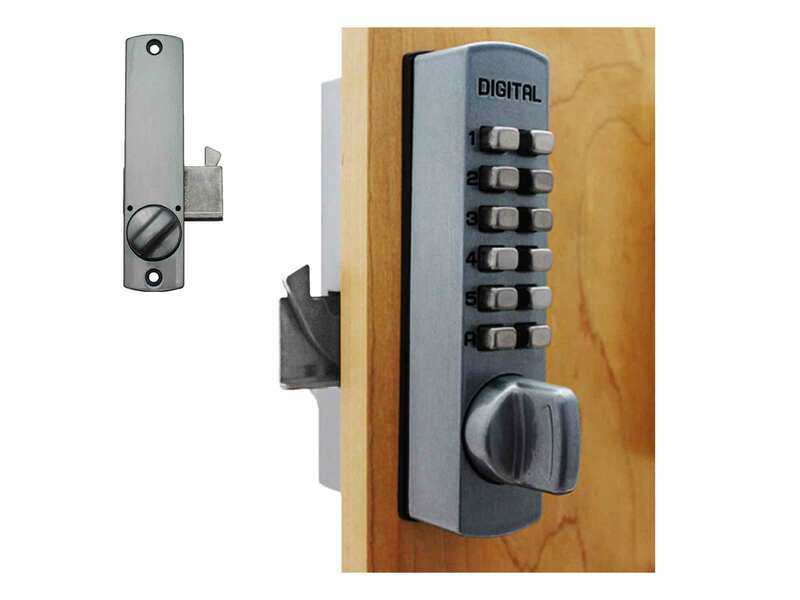 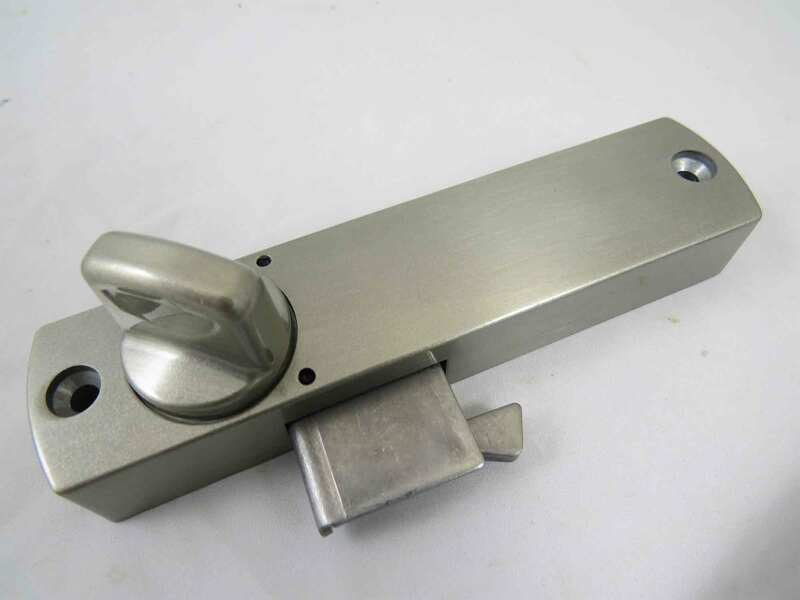 The Lockey C170 Cabinet Cam Lock is an affordable surface-mounted push button cabinet lock. 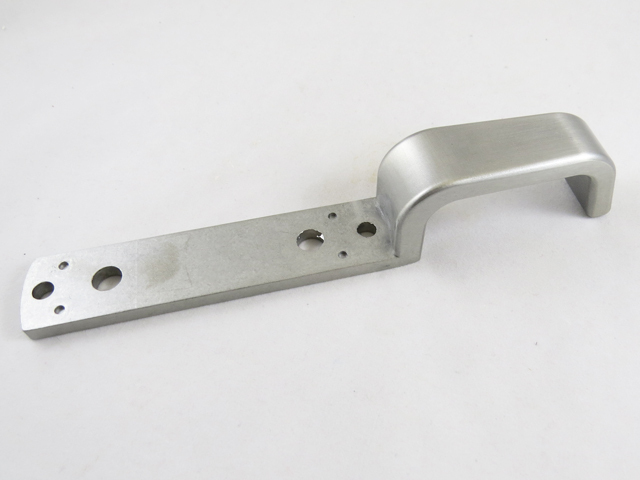 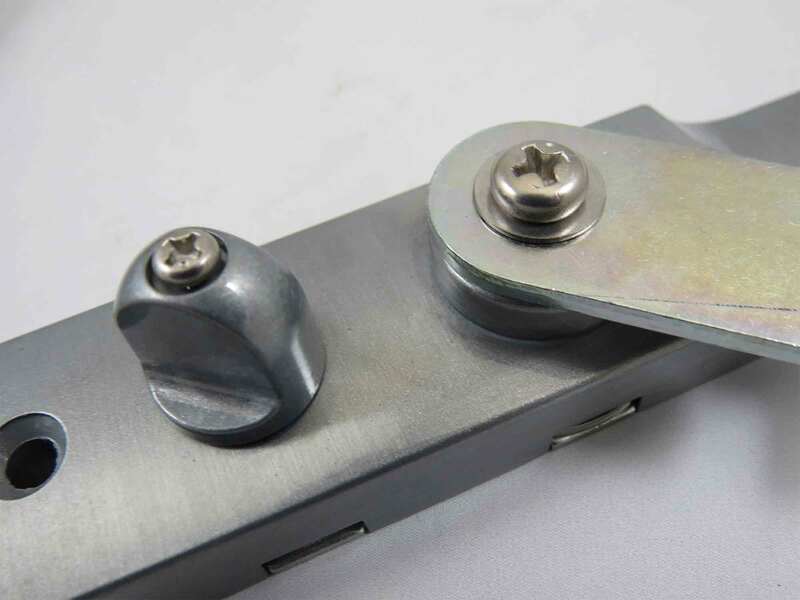 It works well in places where you don't need or want a handle on the inside and where a hole for a bolt cannot be drilled into the edge of a door (like, for example, on a thin cabinet door). 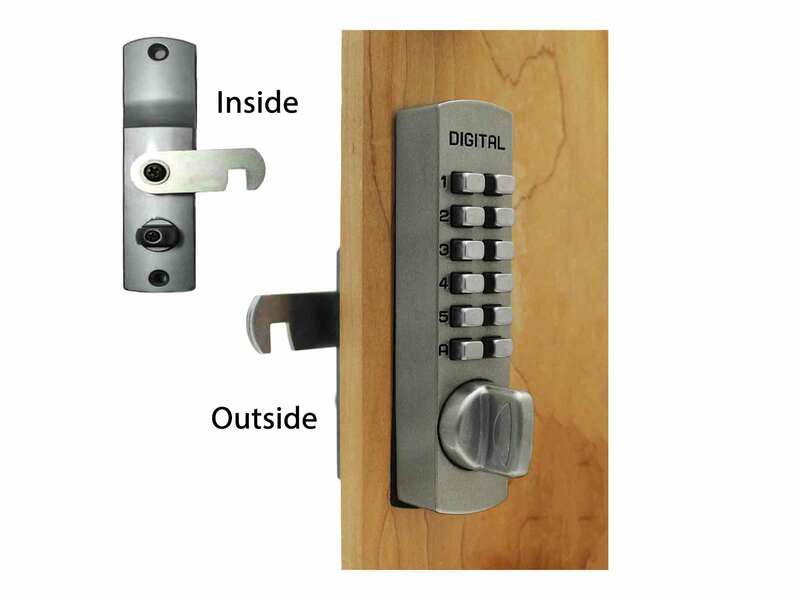 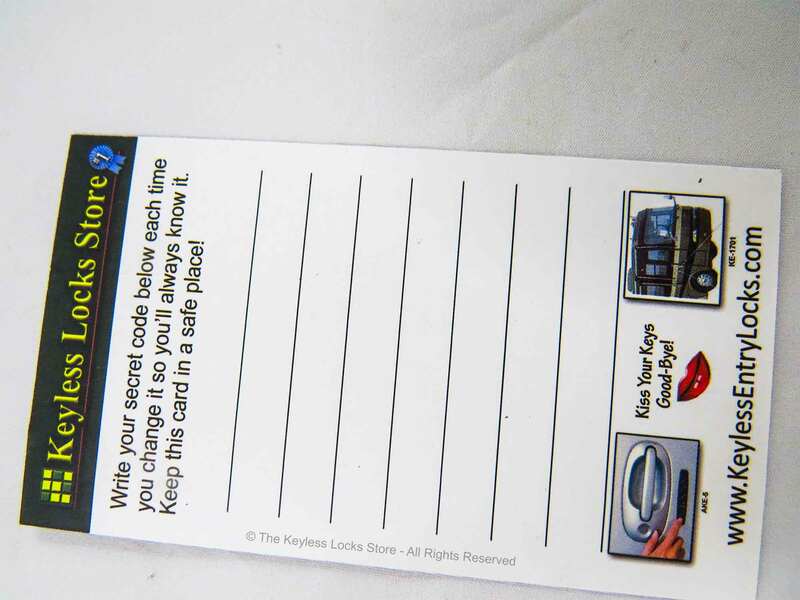 This product is intended for personal use only in non-critical situations. 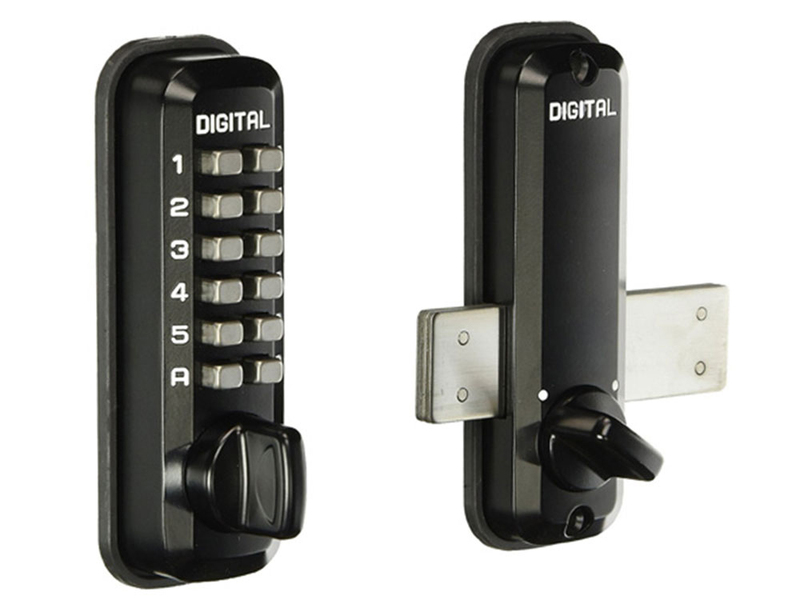 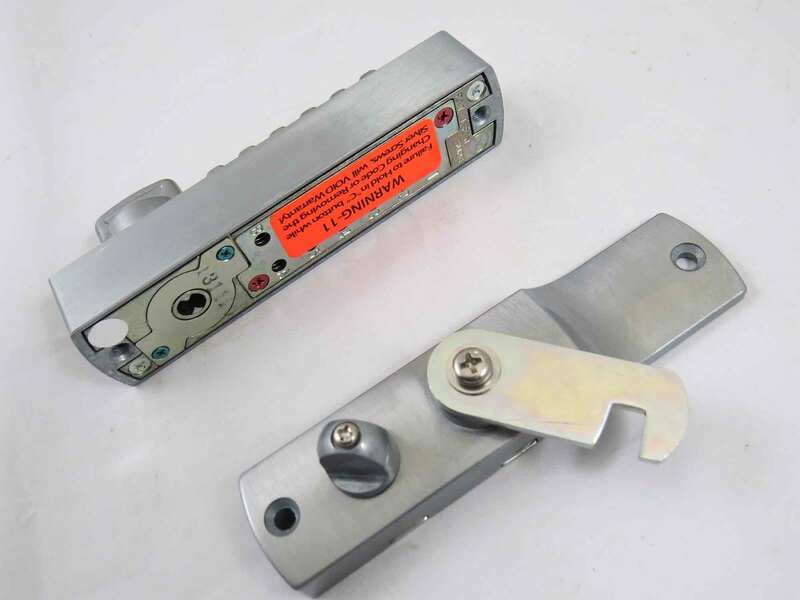 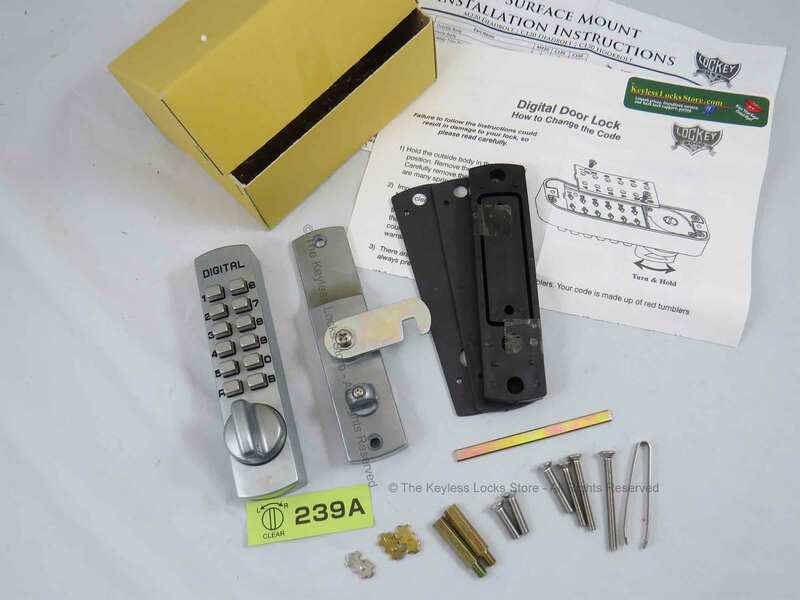 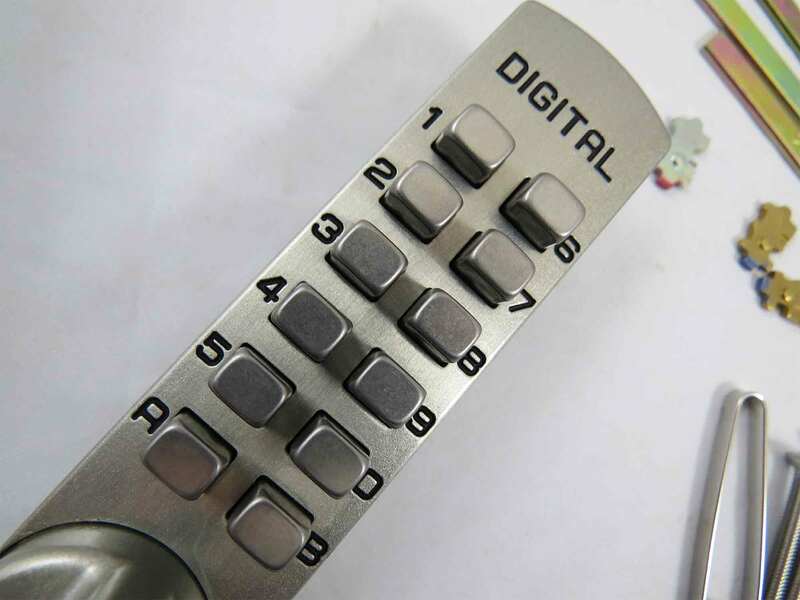 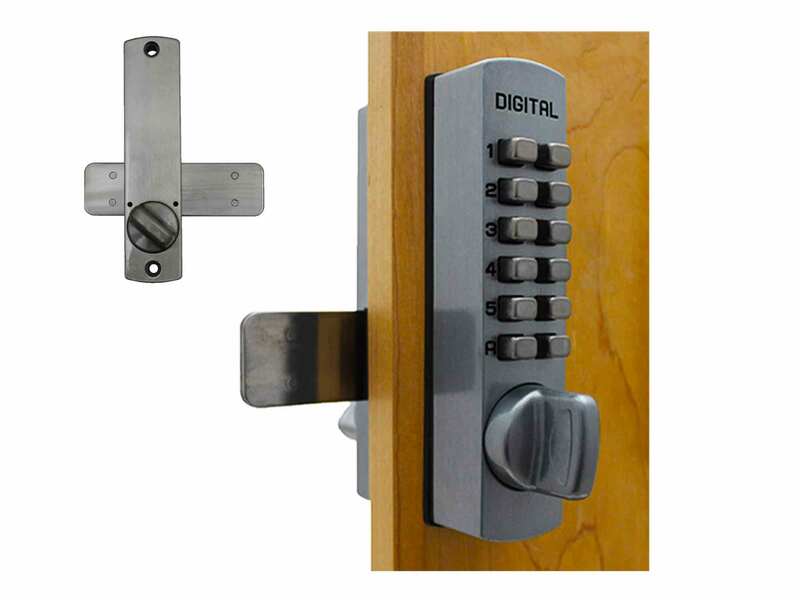 If you want a higher level of security, please consider the Lockey C150 Surface-Mount Cabinet Hookbolt Keypad Lock. 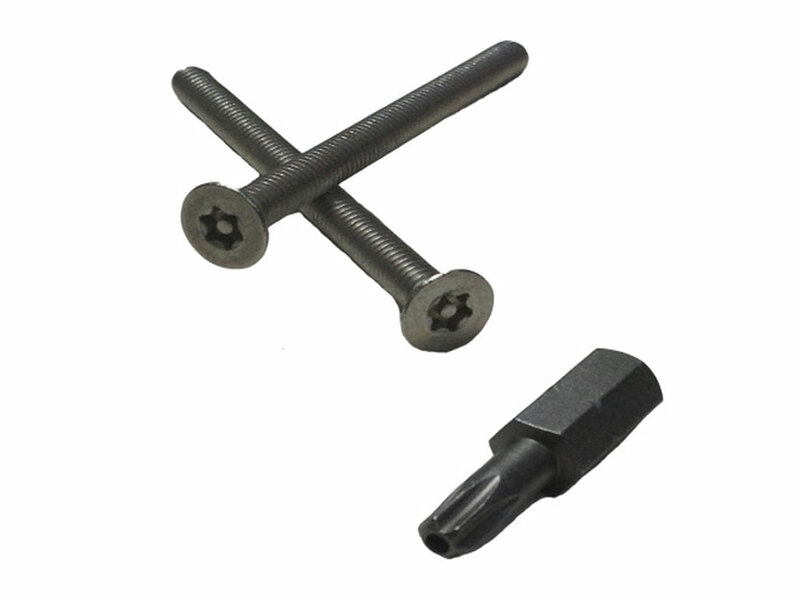 It is the same size, but has a different, stronger hookbolt and catch. 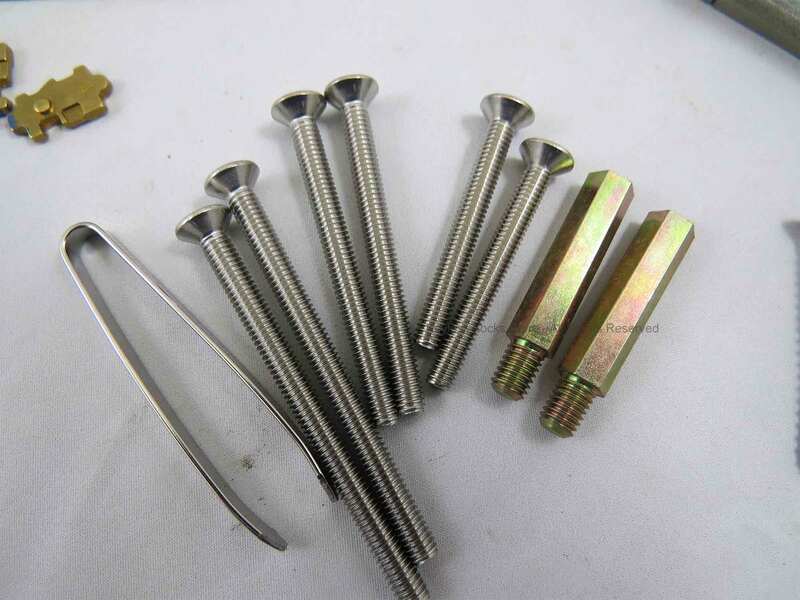 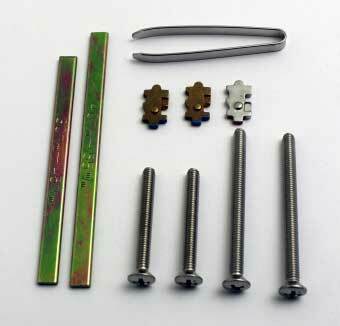 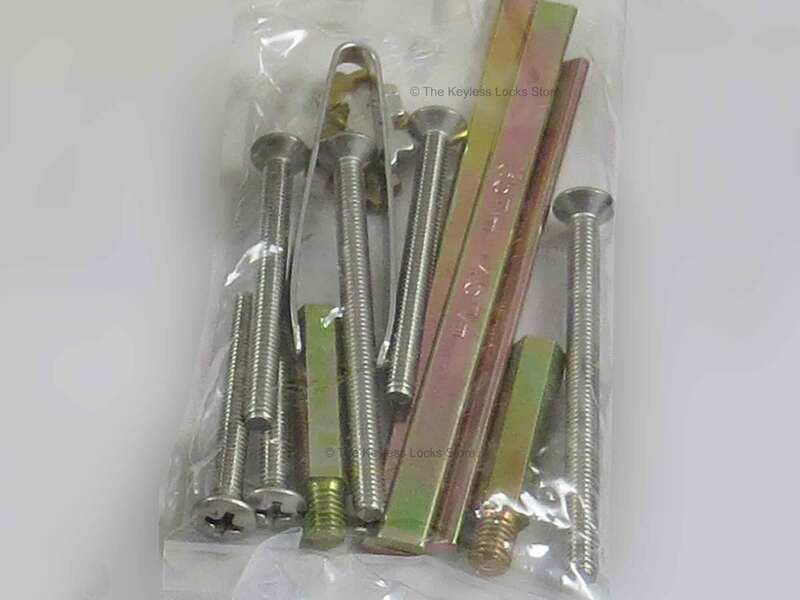 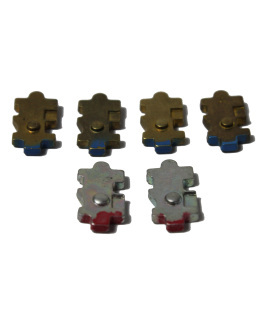 BOLT EXTENSION: Approximately 1-1/4" from lock body to the end of the hook. 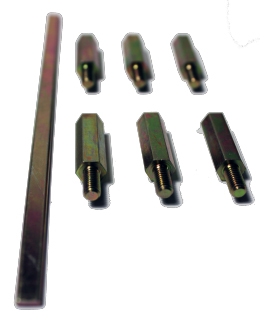 DOOR THICKNESS: fits cabinet doors 1-1/8" to 2". 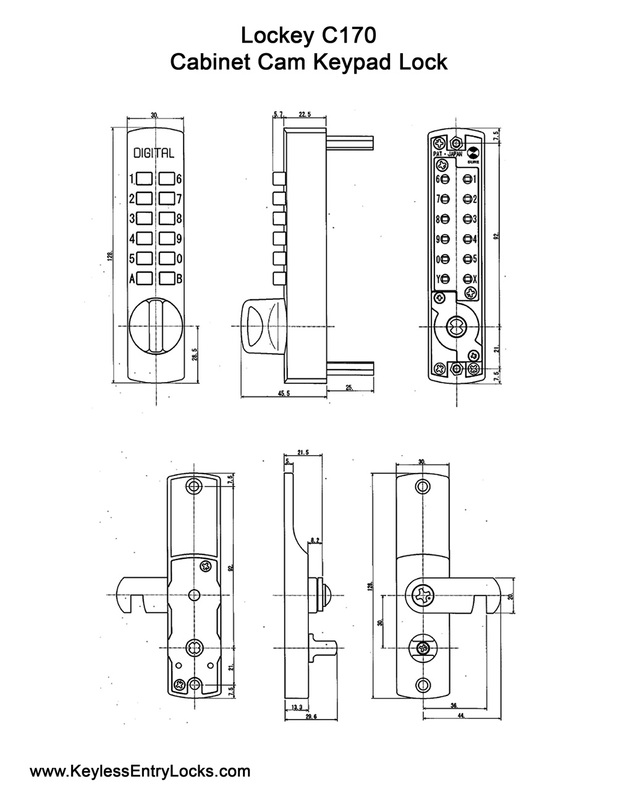 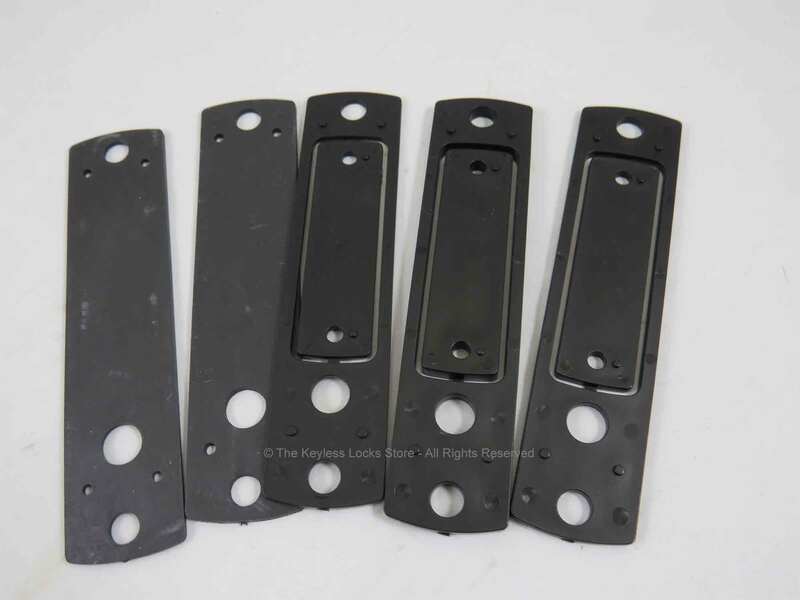 DOOR/GATE TYPE: (locks for cabinet doors on hinges which are typically thinner than most building doors); Locks for sliding doors/gates on cabinets, patios, sheds, etc..
LOCKS FOR ...: (economical locks designed for residential/light commercial use with fewer features, fewer users, and light traffic); (locks for cabinet doors which are typically thinner than standard doors); (locks that are designed for use on thin trailer doors); (mechanical, non-electrical keyless locks without a key override). 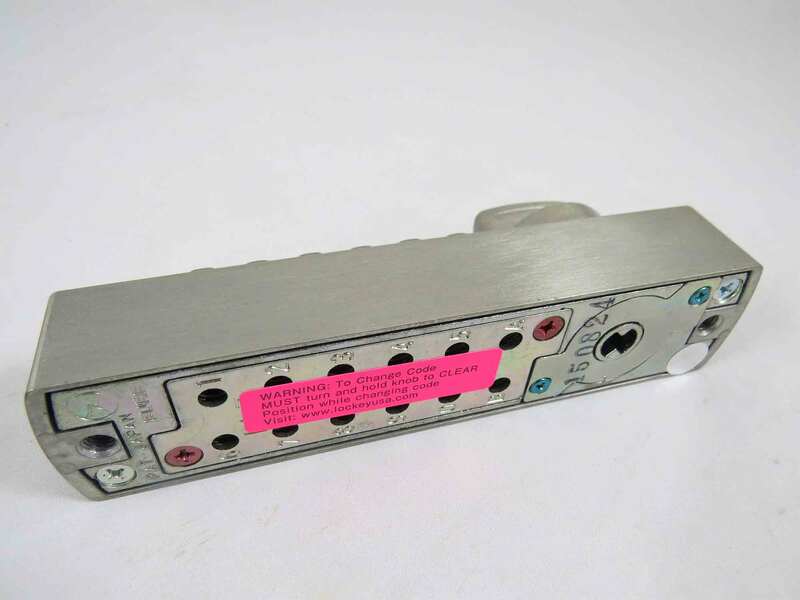 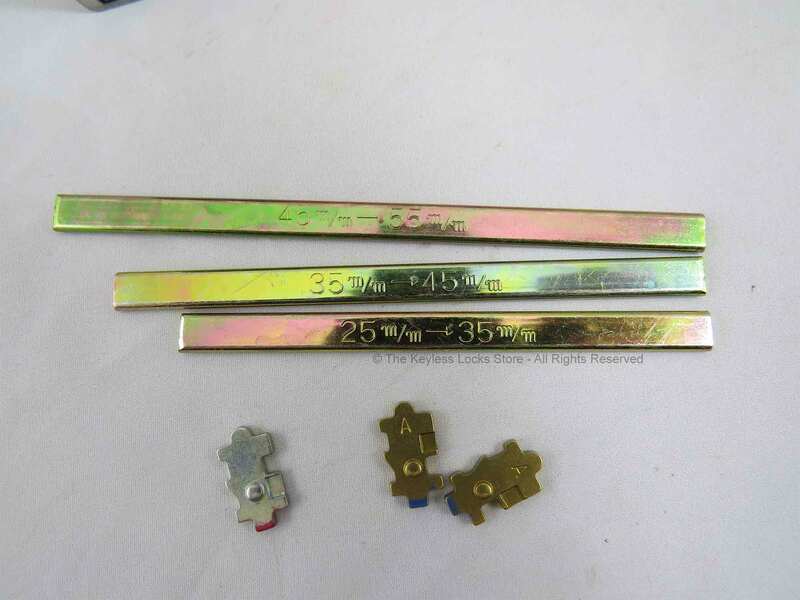 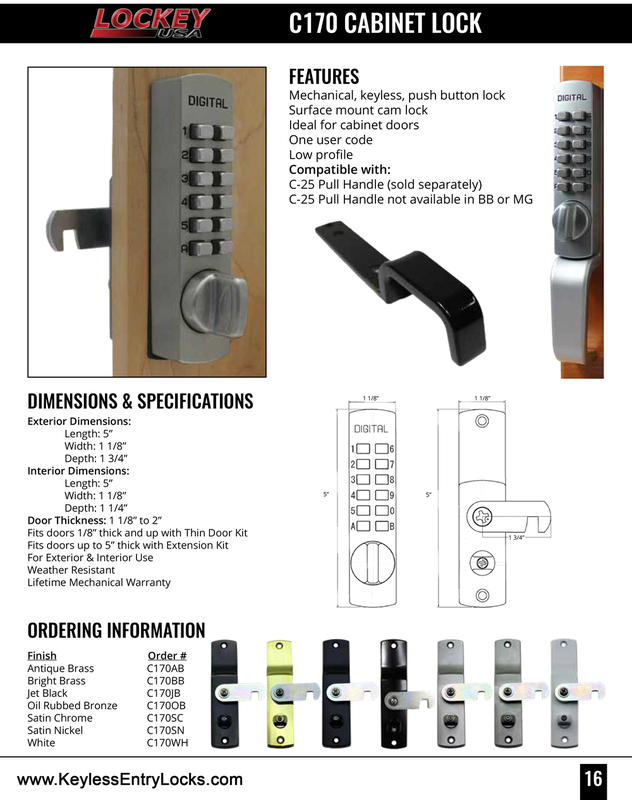 PRODUCT LINE: Lockey C Series. 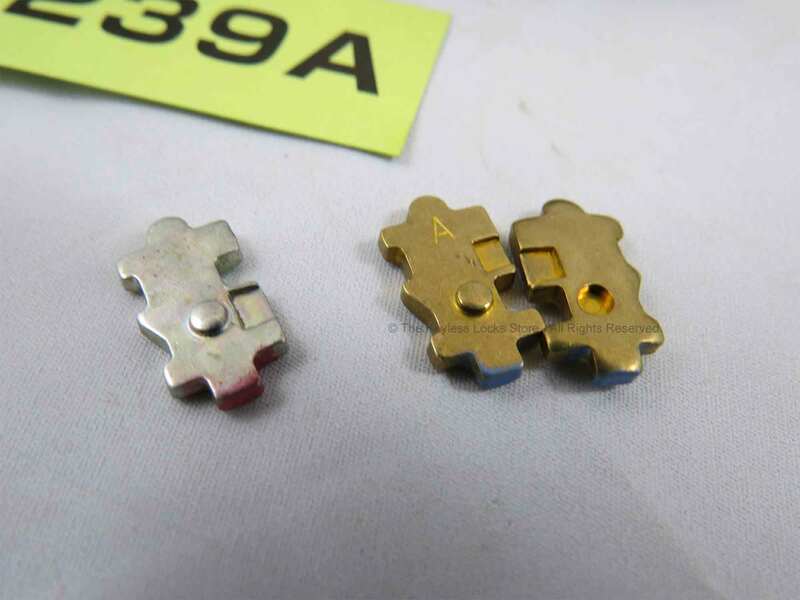 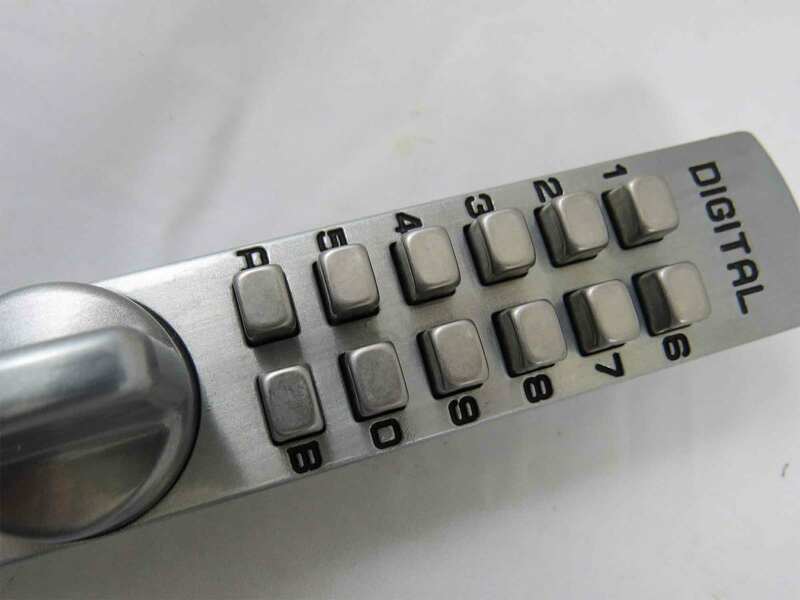 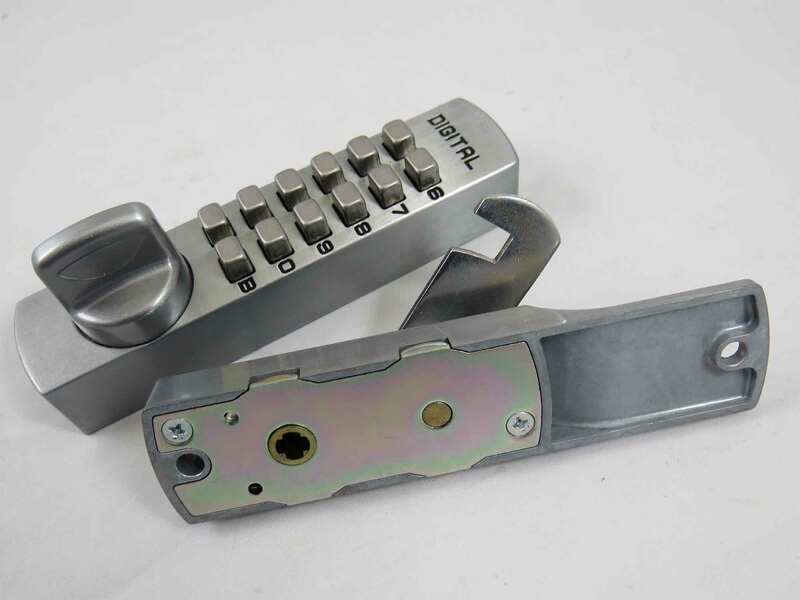 SECURITY LEVEL: (locks that cannot be picked or bumped because they do not have a key cylinder (aka key override)); (locks that intended for personal use only in non-critical situations).